My awareness of child abuse began when I was a teacher in a suburban school. One day, after I had finished presenting the lesson to a Grade 3 French class, I handed out an assignment for them to work on. I was walking up and down the aisles, making sure that the children had understood what they were told to do. It was a bright, sunny morning. As I approached Andy’s desk, my shadow fell across his face. Instinctively, he flung up his bent arm to protect his head. “I will never hit you, Andy” I said to him. “You can count on me.” To myself, I thought, someone must hit him on a regular basis, since his self-protective reflex is so well developed. As the years went by, I observed children whose behaviour was bizarre and sometimes violent. It did not make sense to me. I was unable to account for it. Slowly, however, as more and more stories came to light, it began to dawn on me that Andy’s story was only one small part of a broad picture of child abuse and family violence that occurs in too many of our homes. 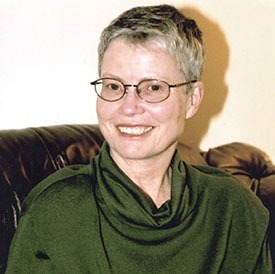 Those early experiences had a profound impact on Margaret Newell and as an active supporter of creating change, Margaret helped establish the Prairieaction Foundation in 1996 as a founding member. As the first Chair, Margaret’s experience, commitment, and leadership positively benefited the Foundation and together with the other founding members, the strategy for the Foundation quickly went from concept to execution. Today, more than twenty years later, Margaret continues to be connected to the Prairieaction Foundation and is proud of the sharing and exchange of information that has been sparked by the foundation. The Foundation has helped to break down silos and connect academics, the community, police, and all others who play a role. It’s been gratifying to see the networking that has taken place over the past twenty years. The Prairieaction Foundation has helped to break down silos and connect academics, the community, police, and all others who play a role. They now work together to connect the pieces of the puzzle across the three Prairie provinces, benefiting not only those provinces, but Canada as a whole. A wonderful example was a finding that came from a women’s shelter. The front-line staff made a connection that some women in abusive homes were reluctant to leave if it meant leaving their family pet in a potentially dangerous environment. This finding resulted in action being taken by the Humane society and now a program exists to relieve that worry for these women. I’m proud that there are people who continue this work, and I’d like to say thank you to everyone who is helping to make change happen. This work is so important.